DJ Xris SMack! @ CYBERTRON's New Year's Eve! For the first time ever in the 10+ years of doing events, we now have the pleasure of spending a New Years Eve with all of you at CYBERTRON! 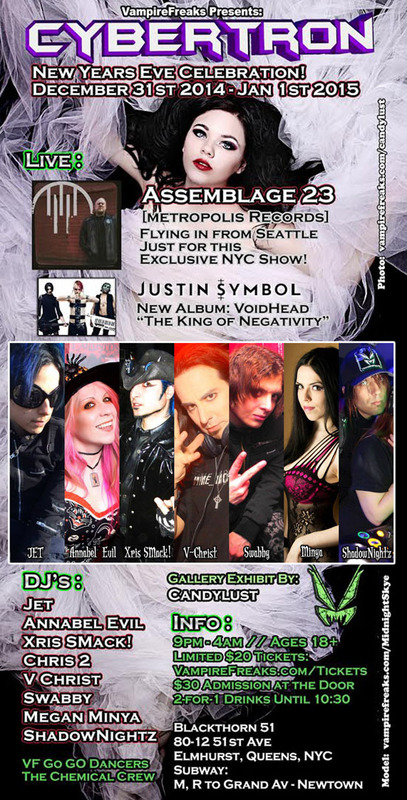 Please Join us for this amazing experience as we dance to the sounds of Assemblage 23 & Justin Symbol! ***NOTE*** This IS expected to SELL OUT. Get your tickets early! !